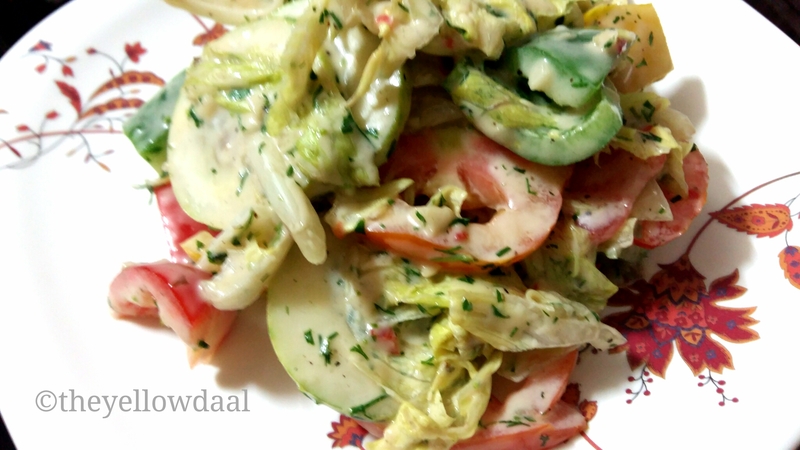 Its just a simple veg salad with a basic vinaigrette. But really its the dressing that makes its special. Top with eggs, fish, chicken, crispy bacon or grilled eggplant; or nothing at all. I like my salad creamier but no mayo just simply some Greek yogurt does the trick. There is no special ingredients of salad in this recipe. Just grab whatever you have. I have used carrot, cucumber, tomato’s, green capsicum, lettuce. Take a jar with lid. Pour everything except the yogurt. Shake well till combined. 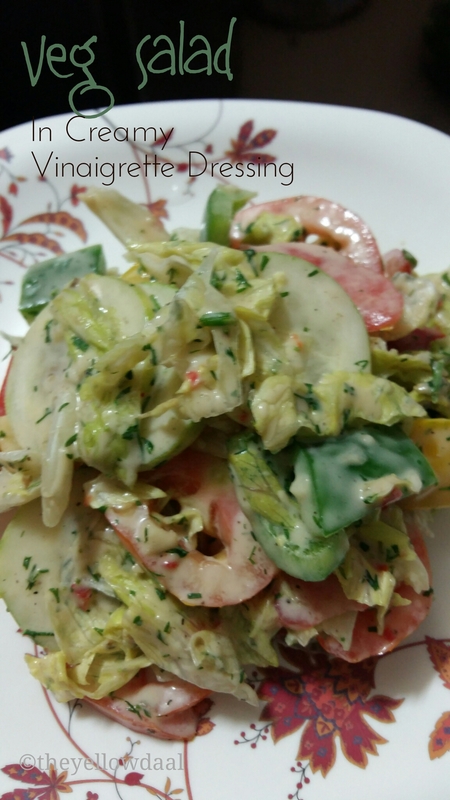 Mix yogurt and dressing to your salad just before serving. Top with whatever you fancy. I topped mine with eggs. Wow.. So new to me.. Nd lukin so slurpy?? Then you have to try and let me know how it came out. Its very simple to put together but very tasty. ?